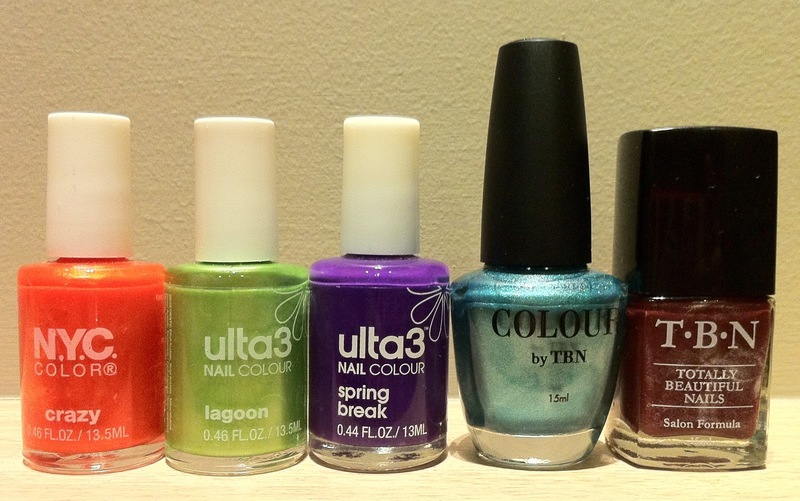 I mentioned in an earlier post that I got a bunch of Australian nail polishes that seemed similar from my mom and through a swap. Well, I guess I was really going through a crazy moment there. out of the 8 mom got me, only 5 were similar to the ones I got from the swap. Make that 3 similar and 2 really close to each other. These are the goodies from my Mom. And these are from Natalia. 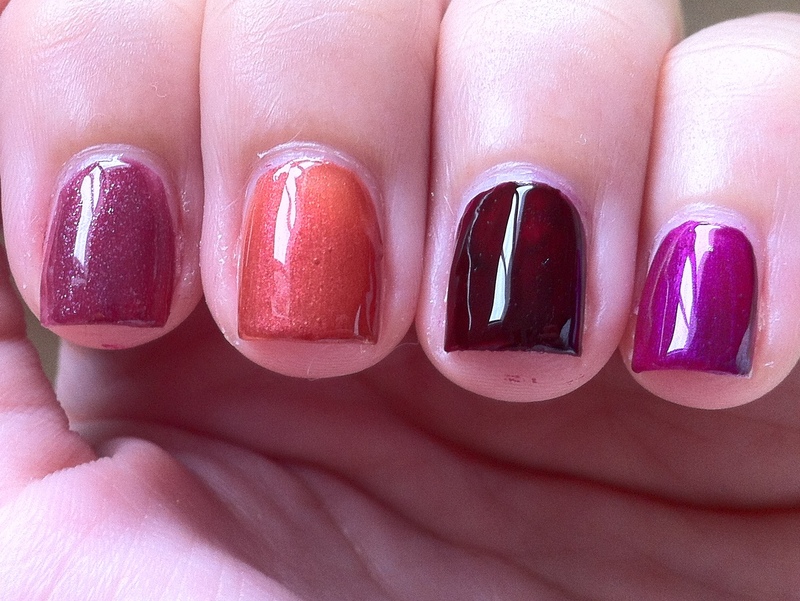 If you are thinking that the first 3 are colors from the same color spectrum while the other two polishes actually look like dupes. Well, you guess right! 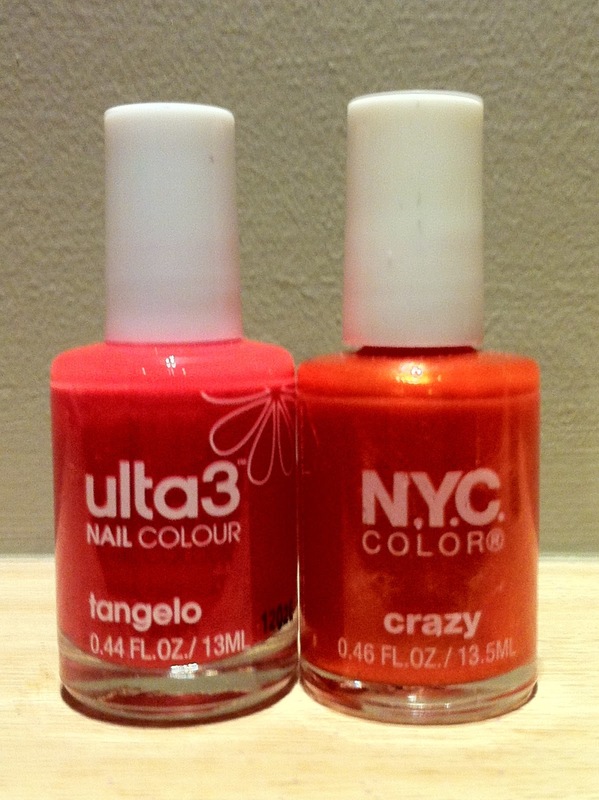 First up I have Ulta3 tangelo and N.Y.C crazy. This photo of tangelo is horrible but in real life both colors are actually really similar. 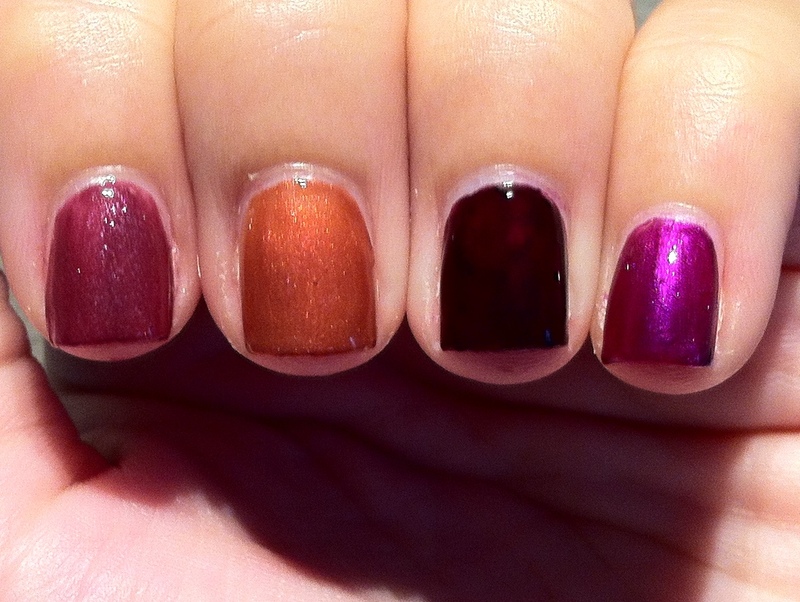 The only difference is that crazy has a shimmer to it while tangelo is an orange creme. 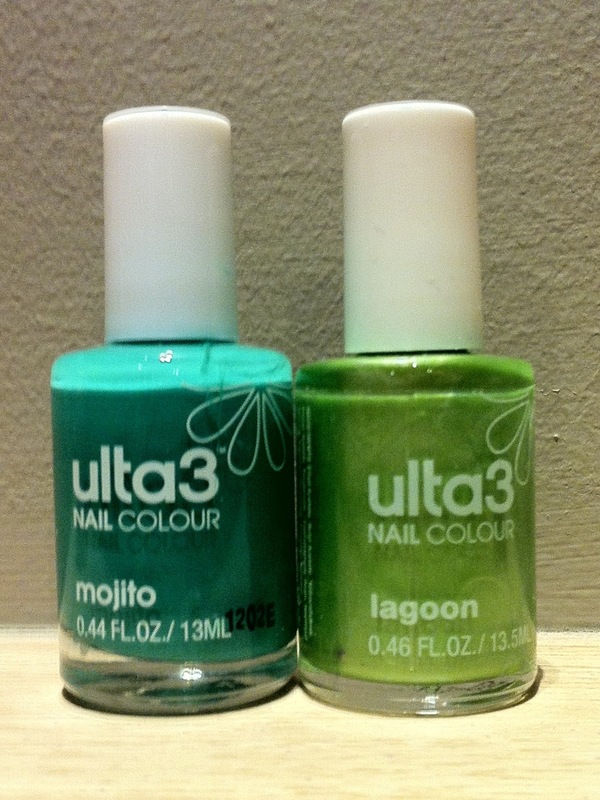 Next up I have ulta3 mojito and lagoon. 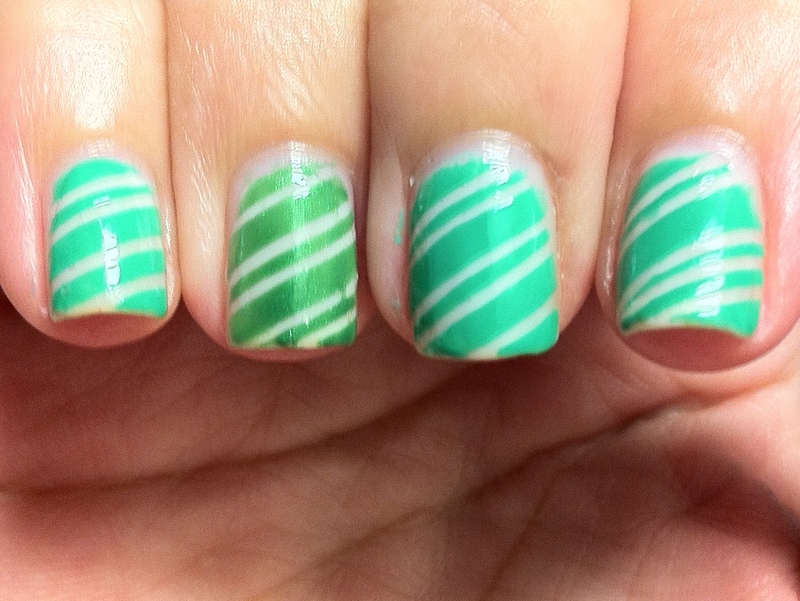 They are very different greens but both are just stuning! 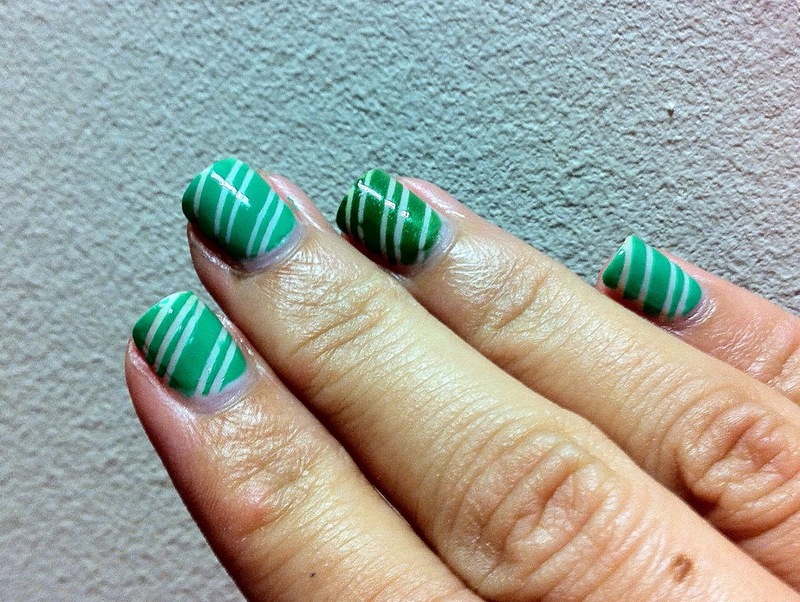 I recently used mojito in a manicure and I was surprised at how the color came through! I will be posting that mani soon 🙂 lagoon on the other hand is a gorgeous apple green with shimmer in it. I also have used this polish. I just have to locate the photos before I can post them! ulta3 pearly grape and spring break are actually quite different. One is a shimmer and the other creme. 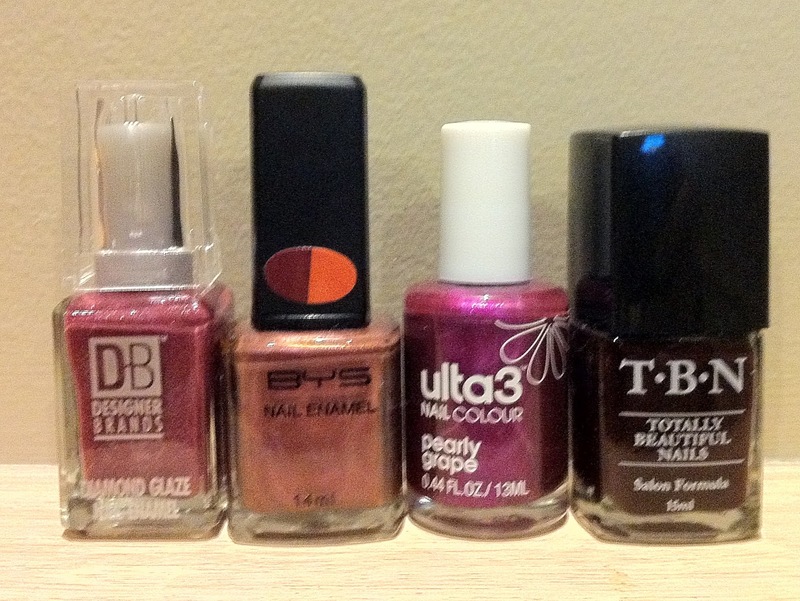 I am amazed at how my mom managed to get a shimmer for every creme (and vice versa) that I had! 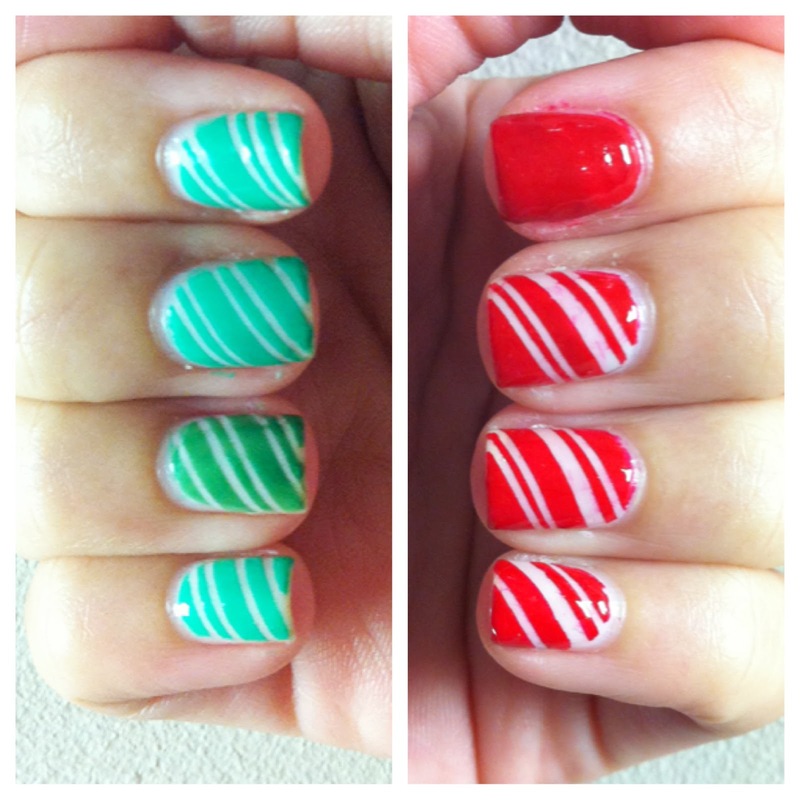 Now on to the polishes that look similar! In the left corner I have Colour by T.B.N. Seafoam and Face of Australia Let’s go Scuba Diving. In the bottle they seem like they are the same hue/shade of blue. 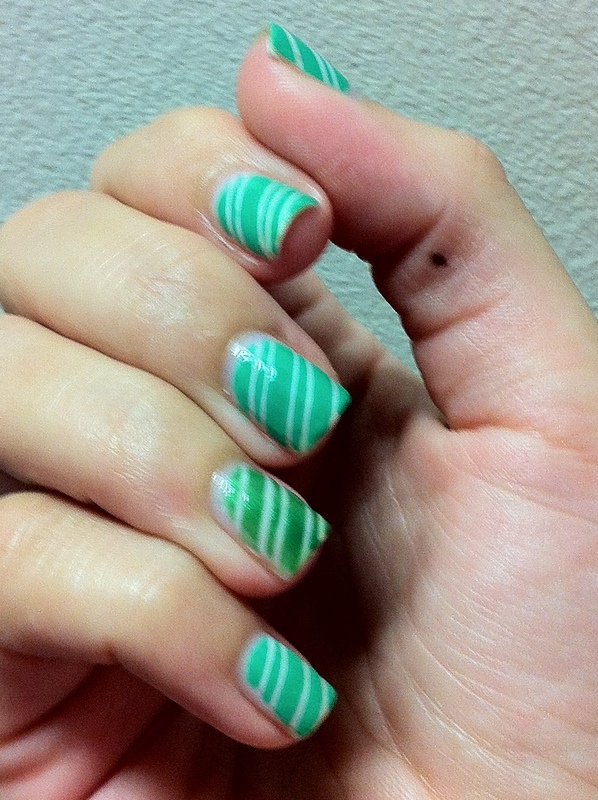 I did a quick swatch of it and guess what, they are similar but definitely NOT the same! 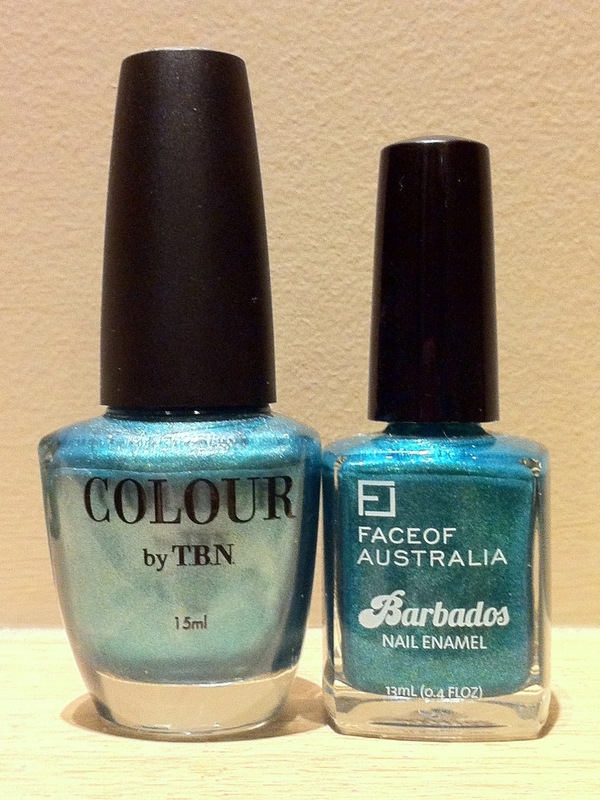 Both Sea Foam and Lets go Scuba Diving are metallic seafoam greens with shimmer but Lets go Scuba Diving has much more shimmer in it! 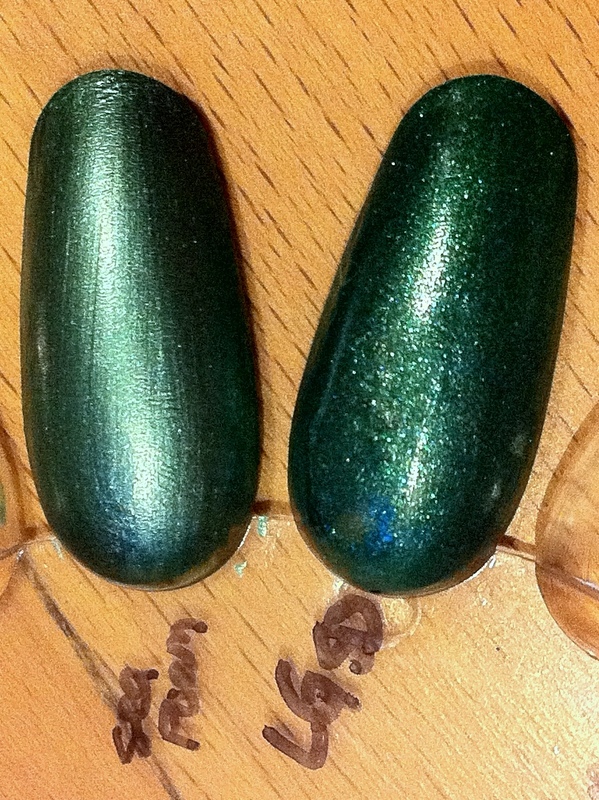 Or rather LgSD has a greenish shimmer to it while Sea Foam has silver shimmer. 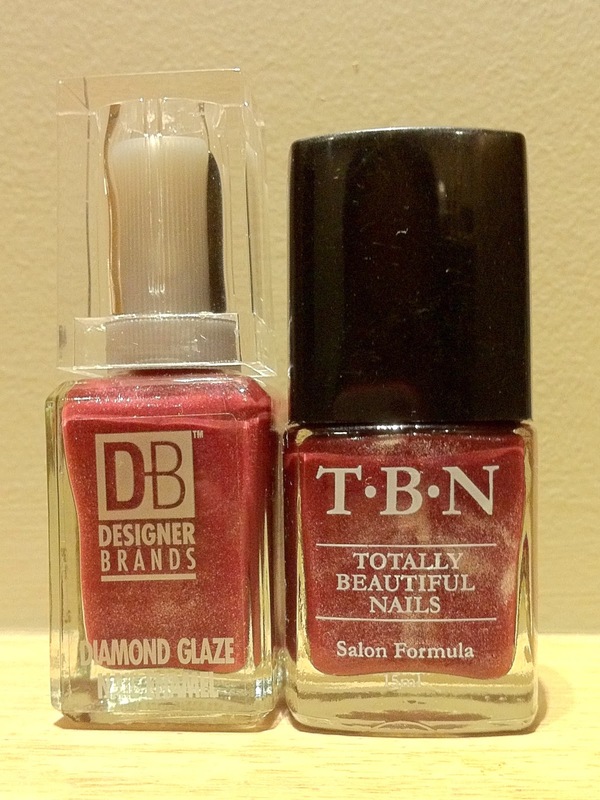 And in the right corner I have Designer Brands Berry and T.B.N Berry Blush. If you think the names are similar, wait till you see the swatch! 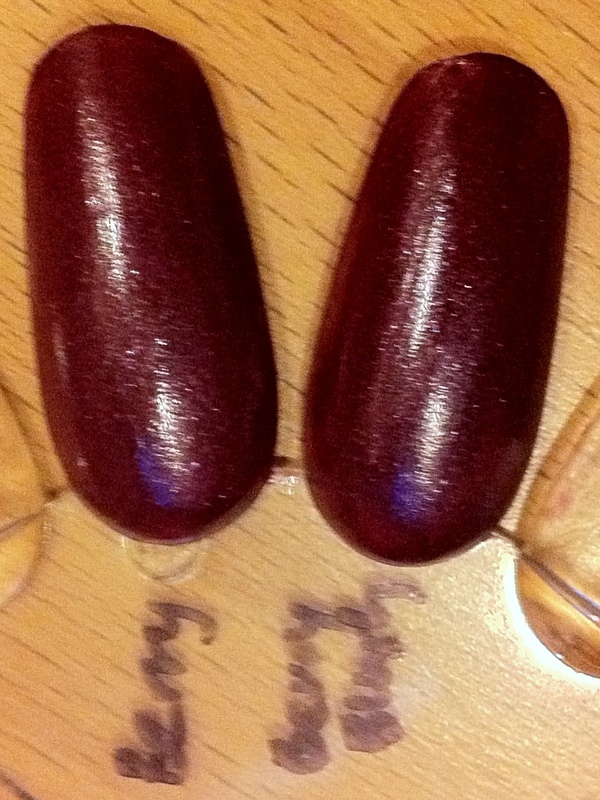 Well, both polishes as their names suggest are a nice shade of berry-pink in the bottle. But when you swatch them – it becomes a darker more vampy shade of berry. If you have not seen the names do you think you can tell them apart? They are very, very, very similar but there is a small difference in them which only can be seen IRL. Berry has a tad more shimmer to it than Berry Blush. And probably Berry Blush has a slightly better formula than Berry. 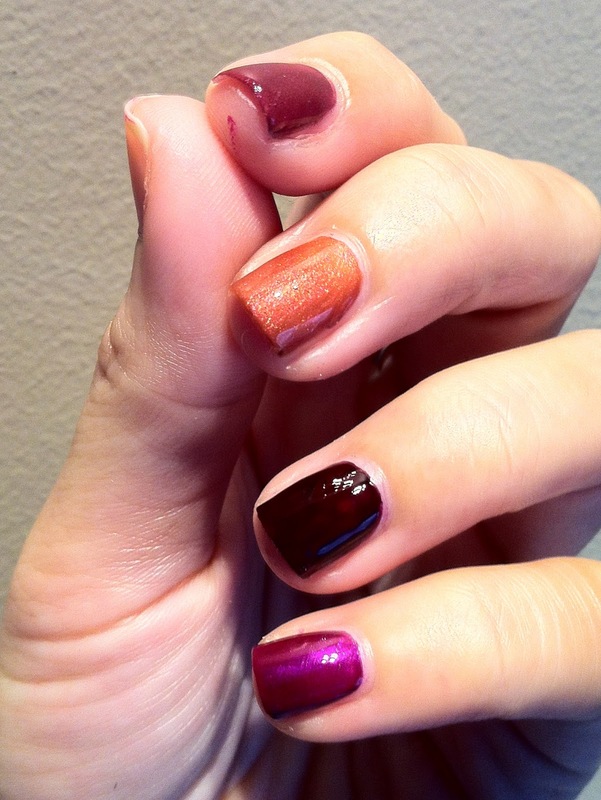 I used 3 coats for Berry and just 2 coats for Berry Blush in the swatches below.